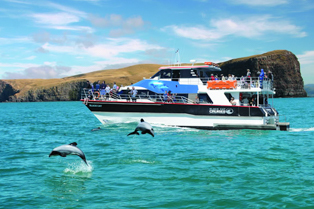 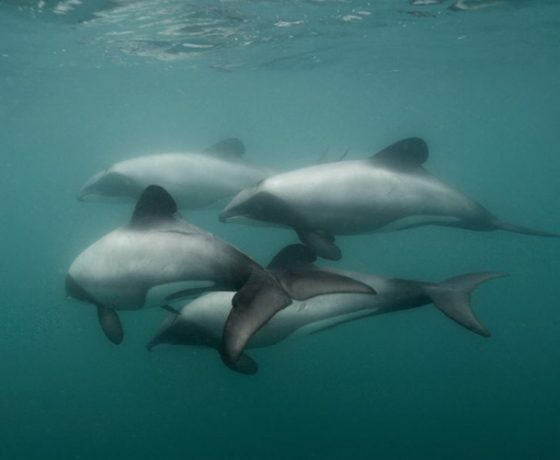 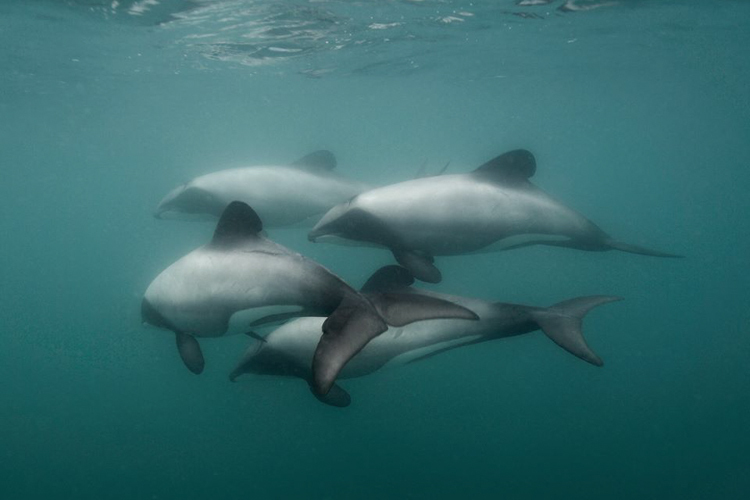 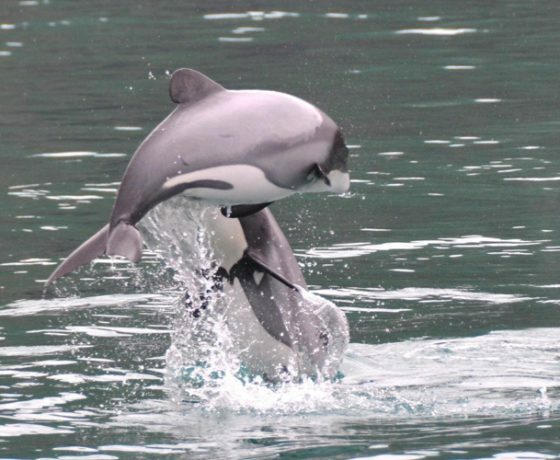 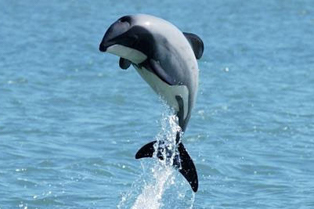 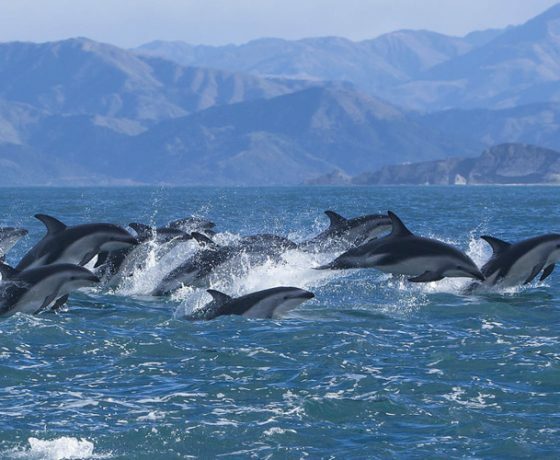 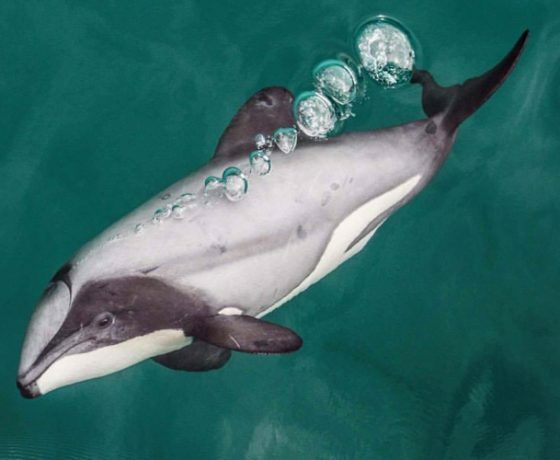 located only 80 minutes drive from Christchurch, cruising the Akaroa harbour with Black Cat Cruises gives the opportunity to enjoy the ultimate dolphin experience by swimming with the Hector’s Dolphin, this cruise gives you the chance to see these beautiful marine mammals close up in their natural habitat. 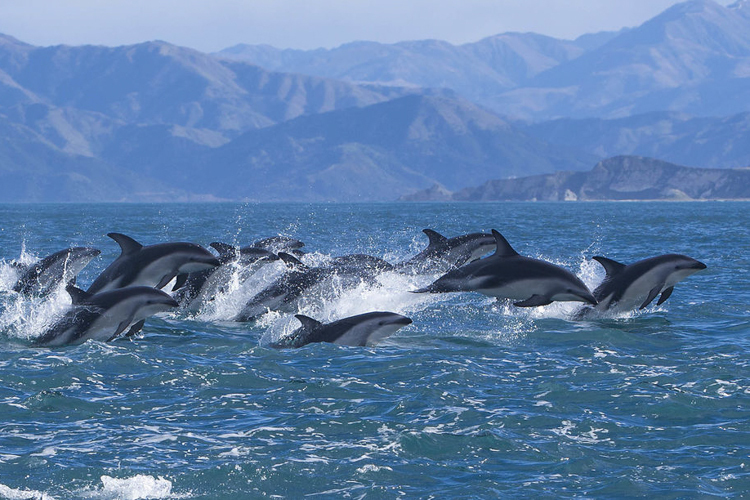 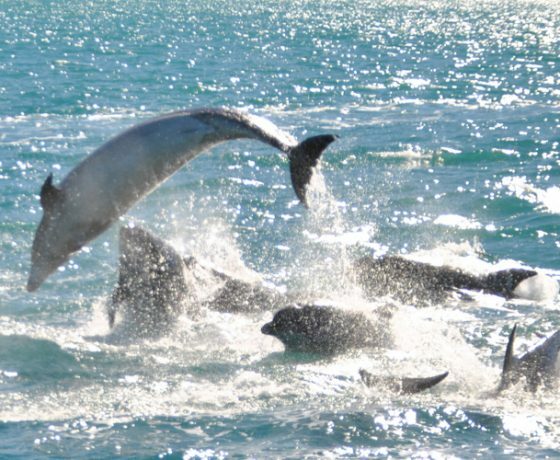 Black Cat Charters have conducted dolphin swimming for over 20 years and were one of the first dolphin swimming operators in New Zealand. 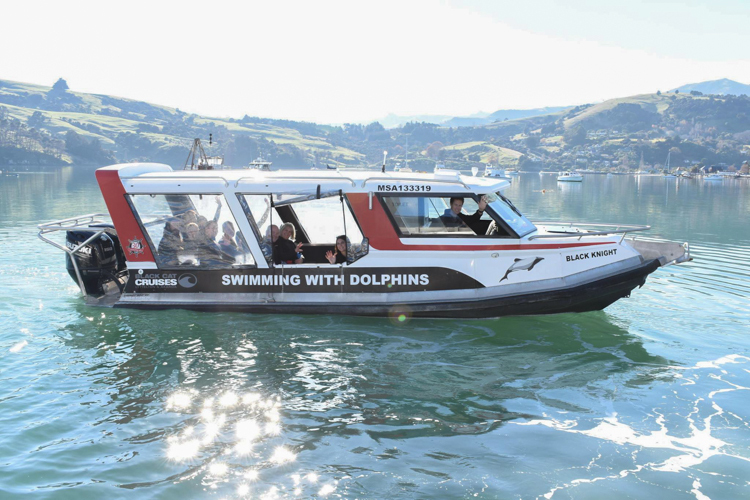 It is a long journey to New Zealand but when you are rewarded with swimming with the world’s smallest and rarest dolphin, it’s a trip worth experiencing allowing you to get up close and personal with pods of Hector dolphins in their natural environment. 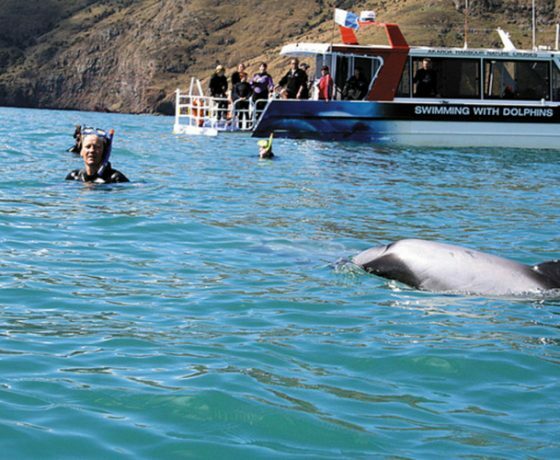 The Harbour itself was formed from the flooded remains of an extinct volcano crater and the amazing volcanic cliffs that shelter the harbour also offer shelter to the Dolphins. 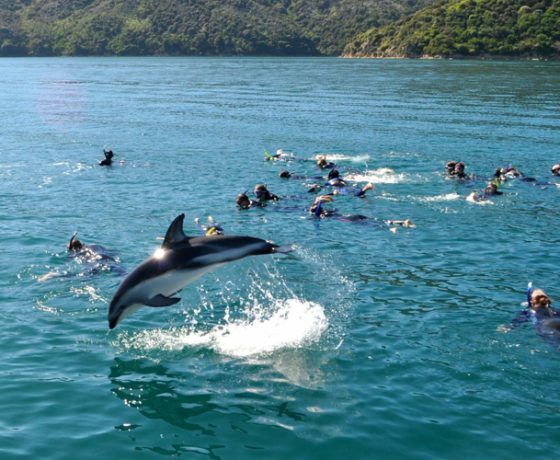 Your swimming encounter with the dolphins will usually be within this sheltered harbour where the dolphins are most prevalent, and catering to small groups of swimmers mean you have an excellent chance of encountering the dolphins face to face. 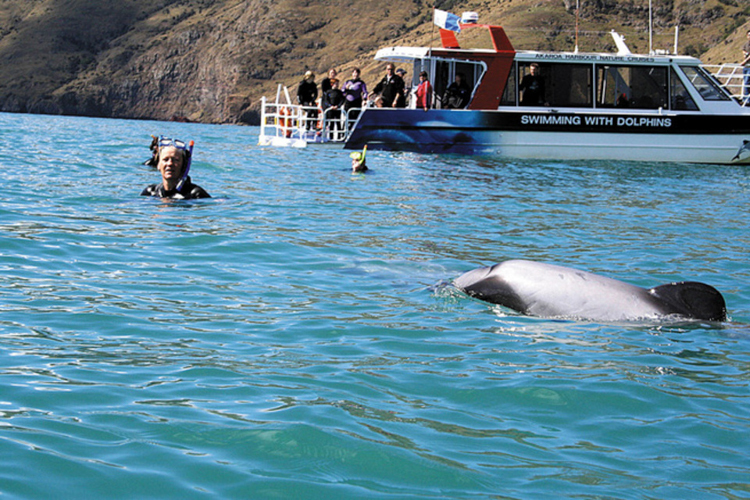 Wearing your provided wetsuit, snorkel and mask – you will enjoy the experience of a lifetime. 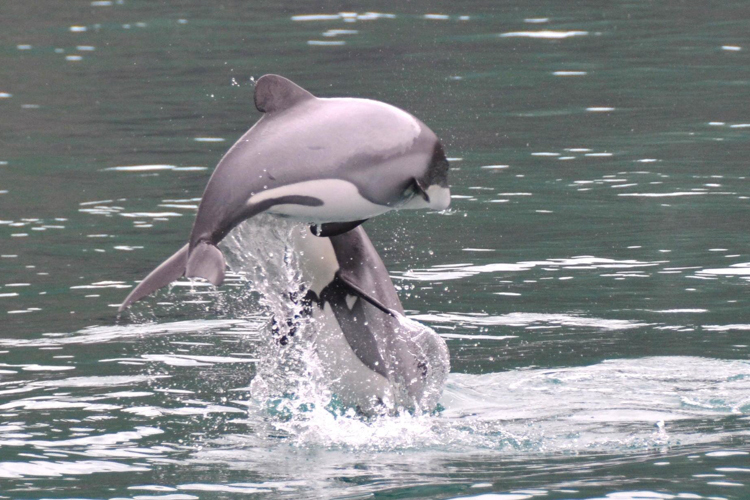 Hector’s Dolphins are such sociable little guys, that they have been named one of the world’s friendliest dolphin species. 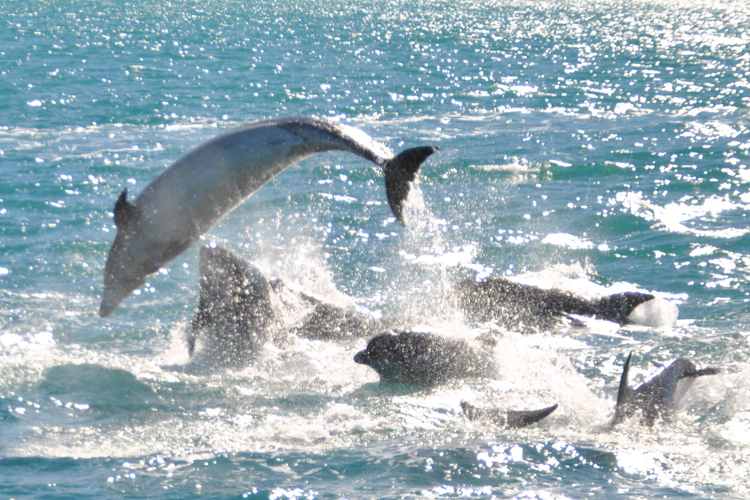 You will marvel at their agility, as they impress you with their acrobatics and other fun antics. 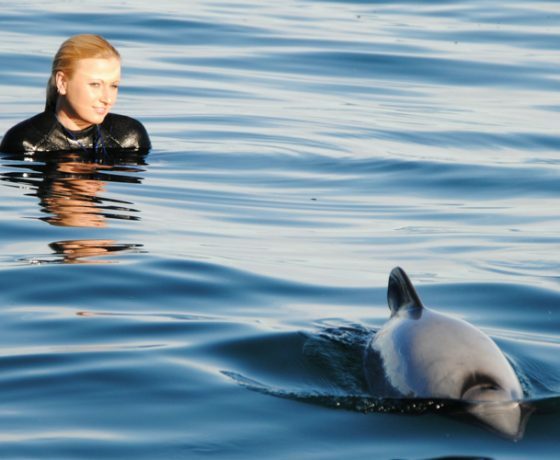 Their inquisitive nature and child-like playfulness means that you will have a swim full of non-stop dolphin action. 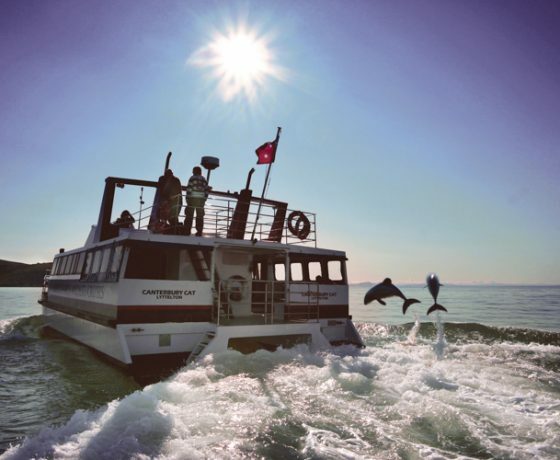 If you don’t feel like going for a dip, you can relax and take pleasure in the interaction of dolphins and swimmers from the comfort of the boat, all while sipping on your complimentary hot chocolate. 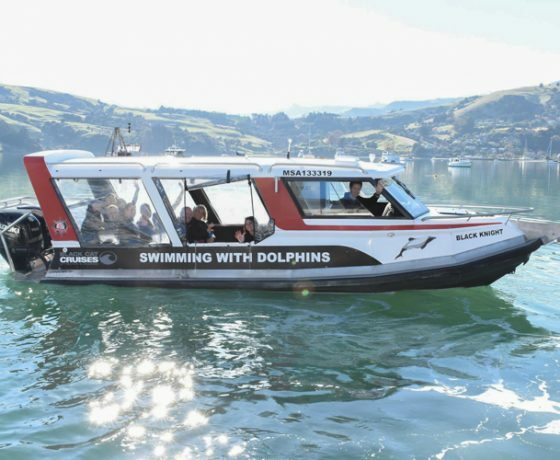 Black Cat’s Dolphin Swimming adventure allows only 12 swimmers per vessel, so you’ll have more chances to come face to face with the dolphins. With only 12 swimmers allowed per vessel, cruises are frequently sold out, which makes it essential for you to book in advance. 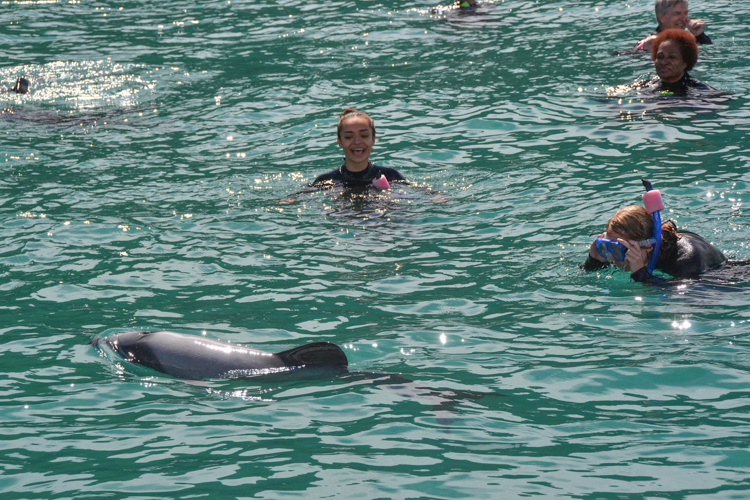 You must be at least 8 years old to swim and chidren between 8 – 12 inclusive must be accompanied by an adult. 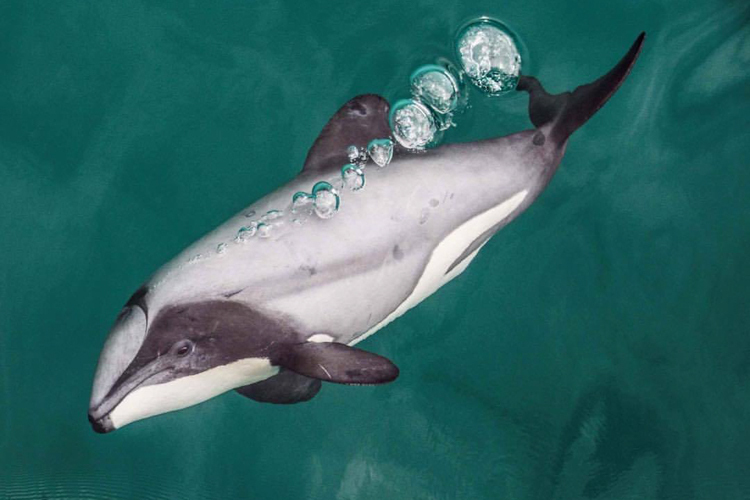 Hector’s dolphins are protected in Akaroa Harbour by a marine mammal sanctuary and our cruise gives you the chance to see these beautiful marine mammals close up in their natural habitat. 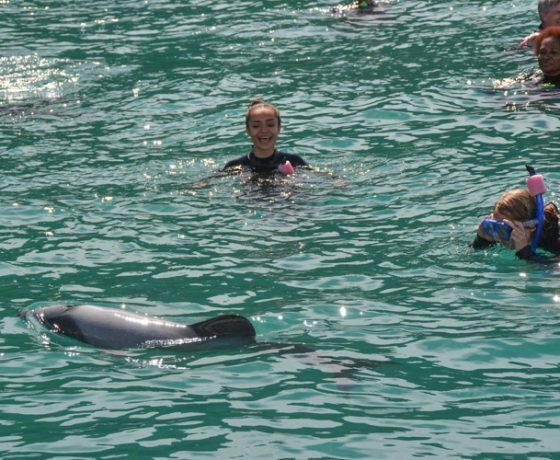 To avoid disappointment, we recommend that you make a booking today to swim with the dolphins, Black Cat Charters limit their numbers to a maximum of just 12 swimmers per trip. 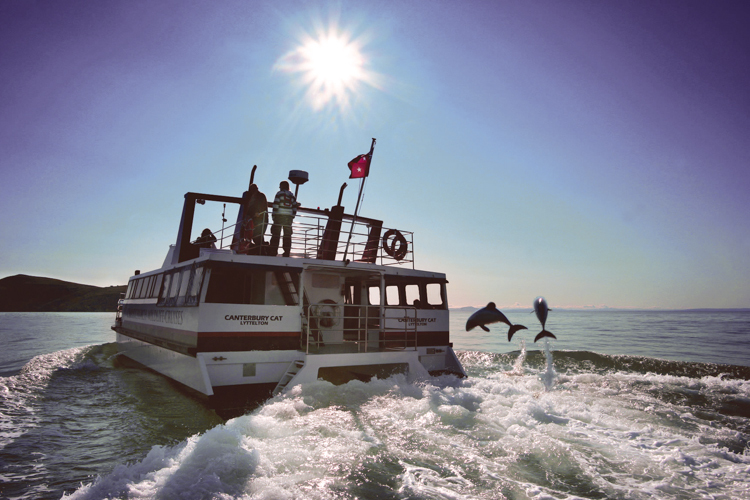 Your Black Cat Cruise will last for an enjoyable two hours, while the dolphin swim will last for around 45 minutes. 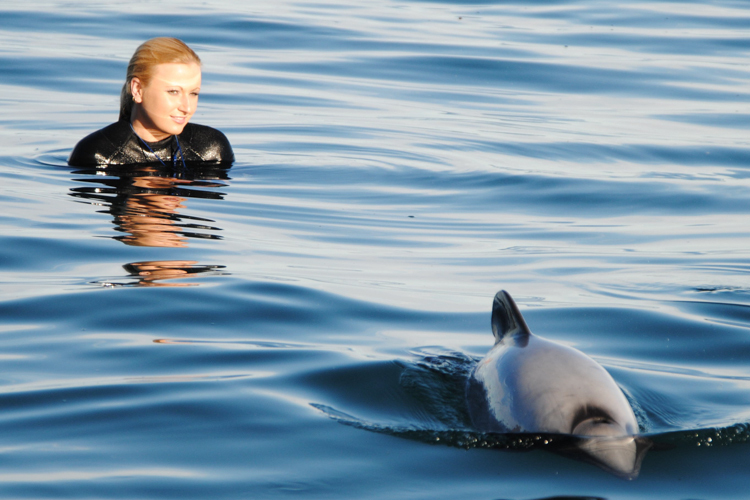 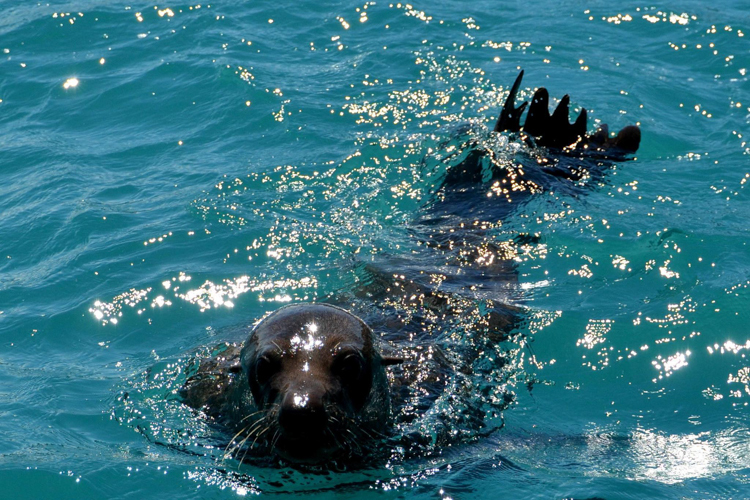 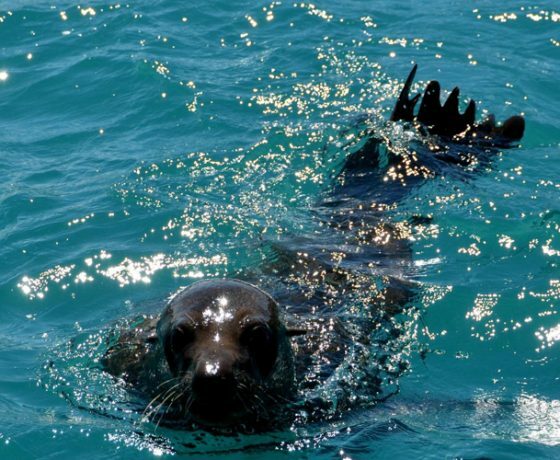 With only 12 swimmers allowed it is essential for you to book this trip in advance.